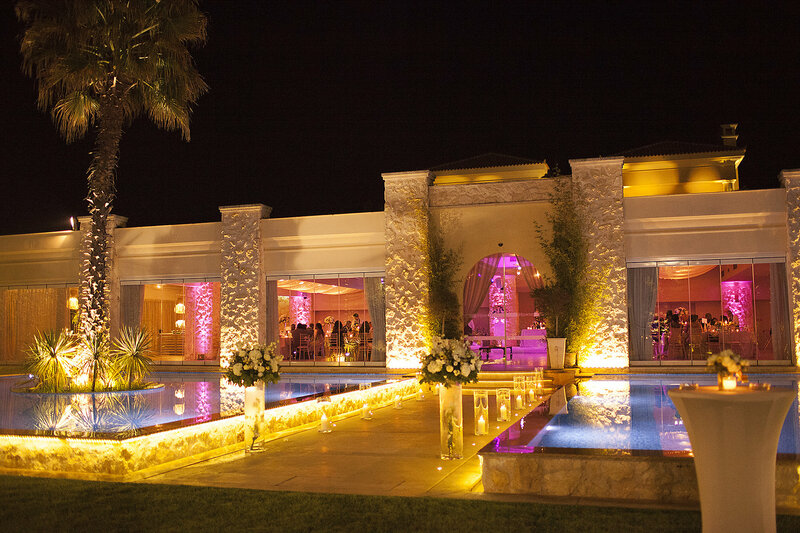 Organizing a luxurious destination wedding is always a huge challenge for a wedding planner. It requires a lot of work, an enormous amount of knowledge and endless network connections. Carry out this demanding project to the very end with success is a big achievement. 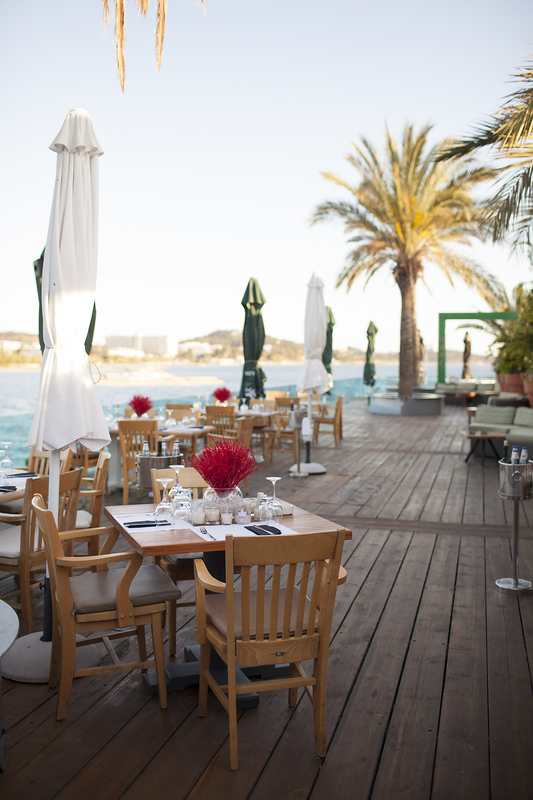 In Avalon Events Organisation, we love challenges, that’s why destination weddings are simply made for us. Wherever you dreamed your ideal wedding we are eager to help you lead it to the happy ending with the closest attention to every detail. 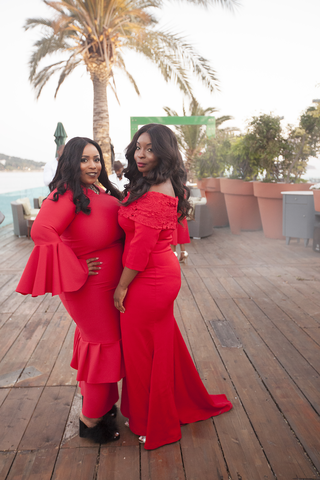 Our last destination wedding was extremely special. 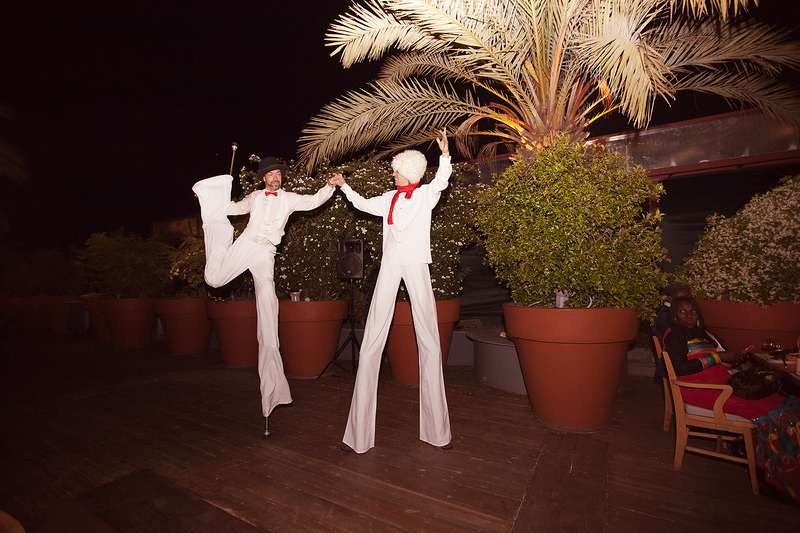 The whole three days of celebration for 200 guests took place in the heart of Athens in Greece. 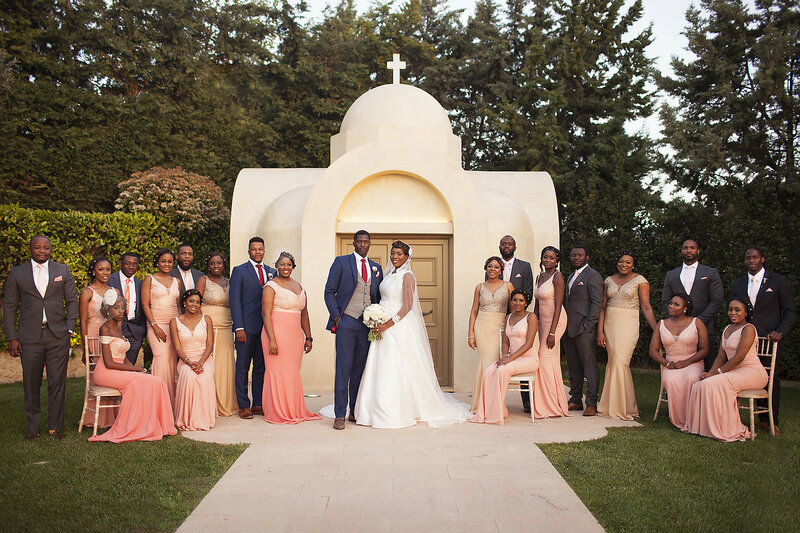 Our lovely couple – Funmi and Larry – and all their guests were Nigerians who traveled from far away to celebrate this amazing event in the beautiful surroundings of Greece. 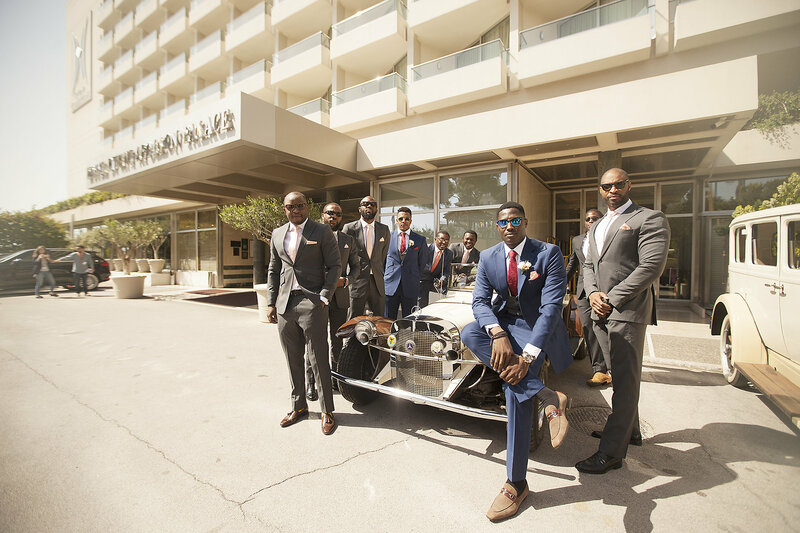 This destination wedding in Greece was a genuine mixture of different cultures which in fact created an amazing experience. We couldn’t wait to tell you more about it! 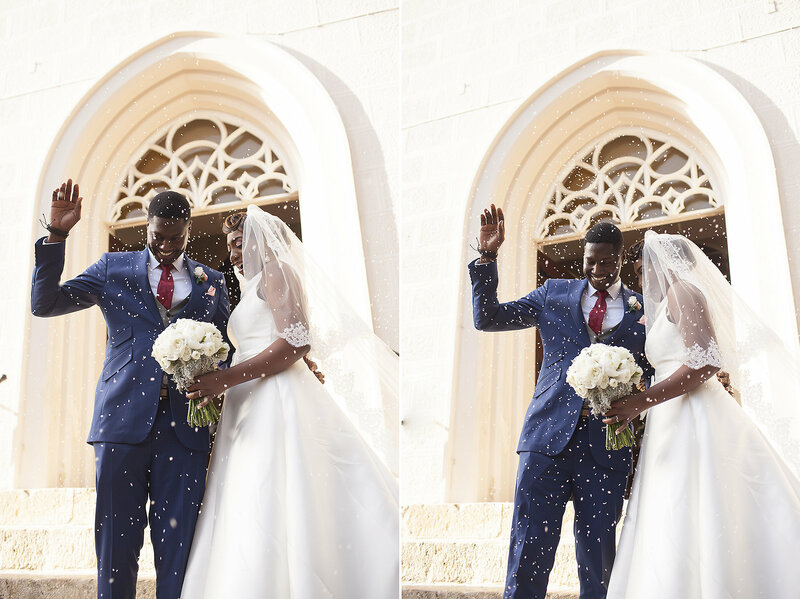 This wedding was like a fairytale with love, laughter, dance and cordiality in the background. The first day has a character of introduction to the Greek culture. 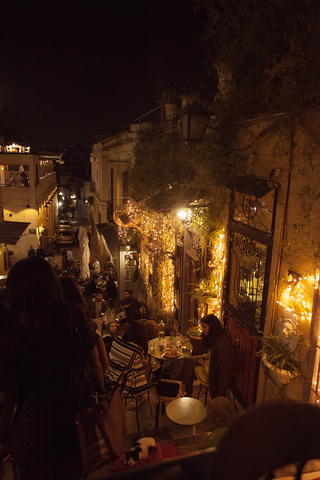 A picturesque walk in the heart of antique Athens got everybody in the mood. In beautiful and traditional Taverna in Plaka in Athens, couple, their family and friends enjoyed typical Greek cuisine. An excellent meal was accompanied by the sounds of traditional Greek music. One of the attractions was Greek sirtaki dancers. They were dressed in three different traditional Greek outfits. Their performance included a dance show, as well as, a dance lesson. It was a funny and engaging experience and everybody simply loved it. Another Greek tradition was “plate smashing”. 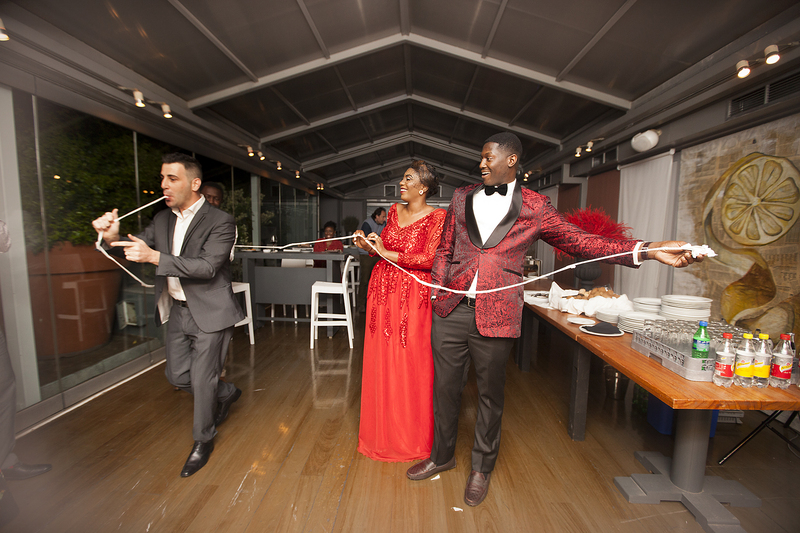 The couple broke plates, what in Greek tradition symbolize a new beginning. 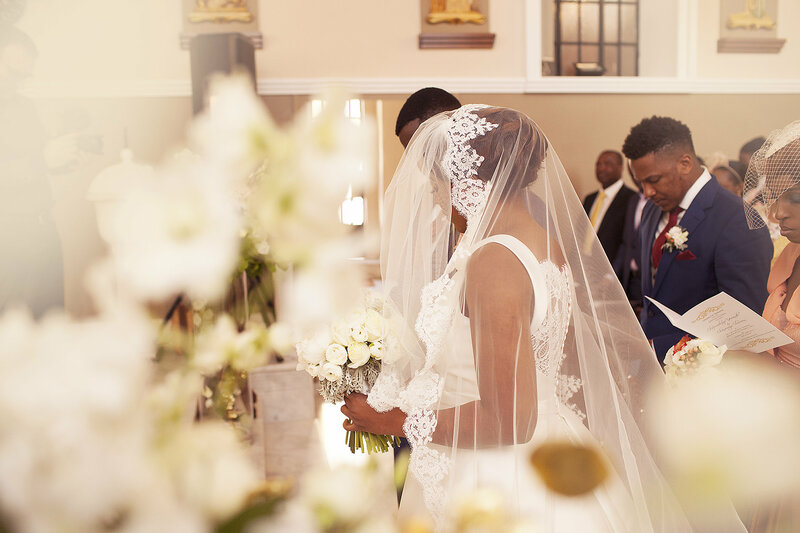 Funmi and Larry threw away their old life and embraced a new one together. To commemorate this evening couple and their guests had a photo session at the bottom of Parthenon. The second day of this amazing celebration started in an unusual way. The couple and their closest friends and family headed for new kind of amusement. 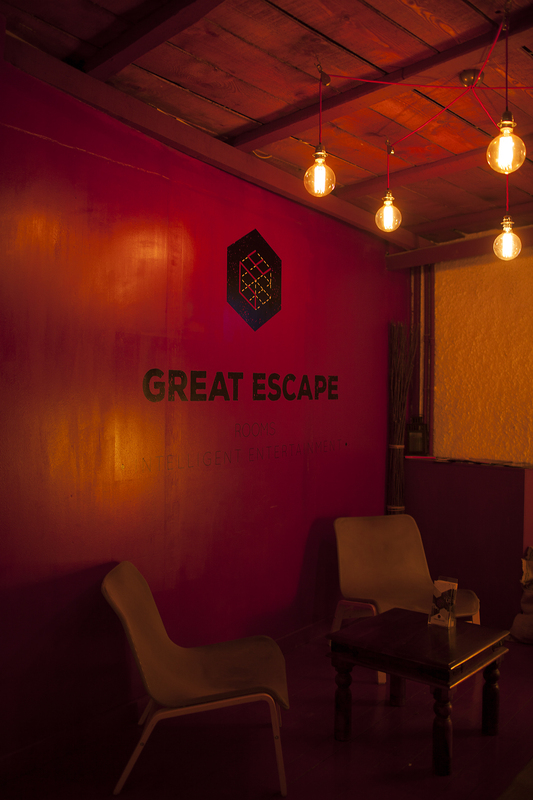 They spend the afternoon in the “Great Escape Room” in the center of Athens. It was a lot of fun and apparently, everybody loved it. The evening passed under the sign of the great celebration. 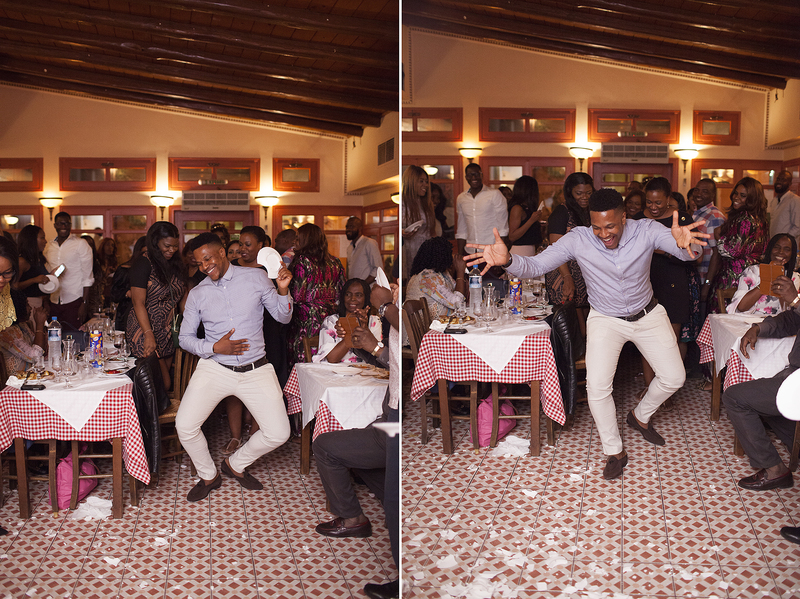 We organized a “Fire and Ice” party at the seaside Greek restaurant. The rules were simple. All the men were dressed in red and all the women in white. All the decorations were also in white and red with the arrangements that symbolized this two elements. All the guests were welcomed by Eros and Aphrodite with wings, arch and love-arrows. The other attractions of this amazing evening were a magician who surprised the couple on their entrance and stilt-walkers. The main highlight of the party’s entertainment was a skillful artist who played with fire. His amazing performance got a great applause. 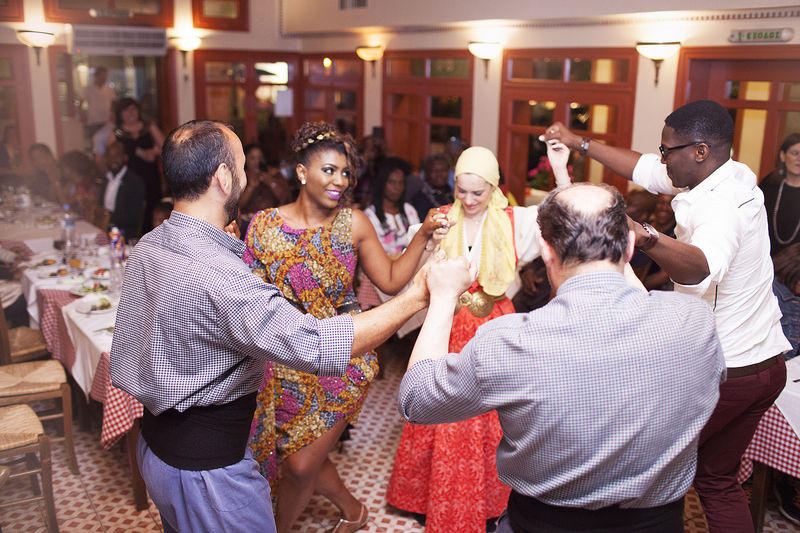 The whole evening was full of fun, laughter and of course, DANCE accompanied by extremely gifted DJ from London. 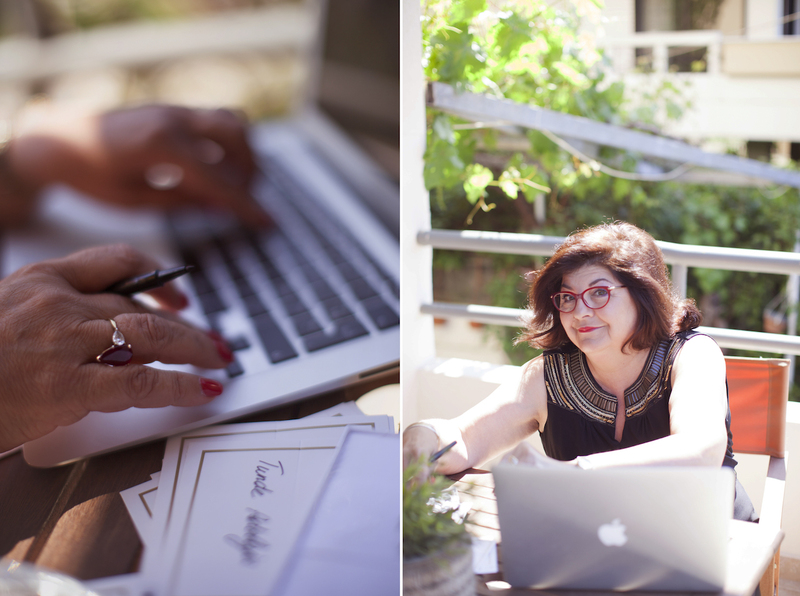 The Big Day started with lots of scrupulous preparations. 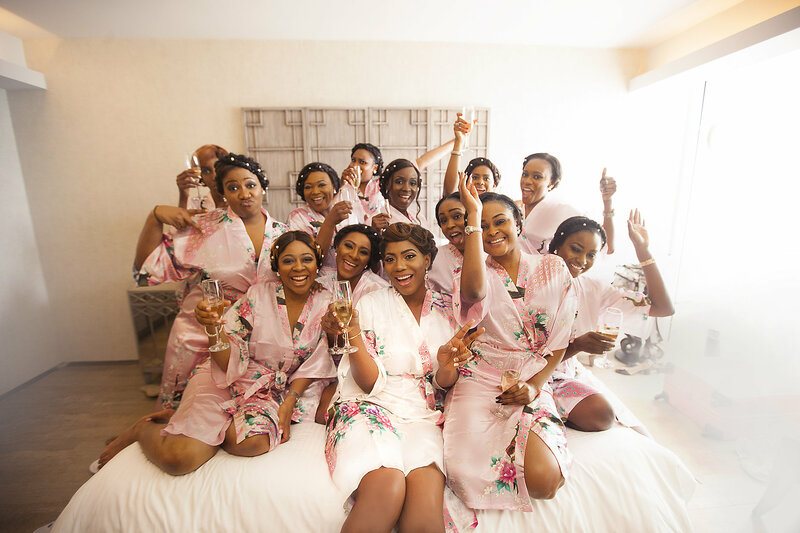 It was so special, given the bride had twelve bridesmaids and “Belles du Jour” on her side. Pimped up with some champagne and girls talk the whole morning was a pure fun. 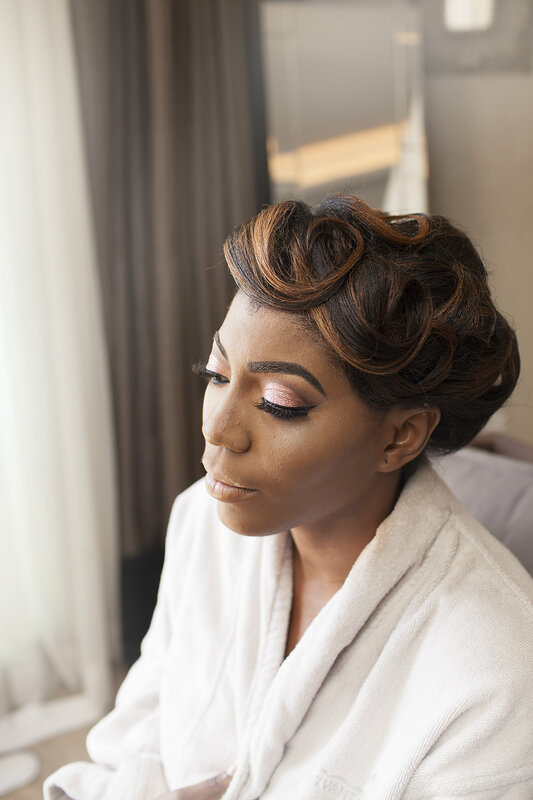 The specialists from London took care that the bride and her team looked flawless. 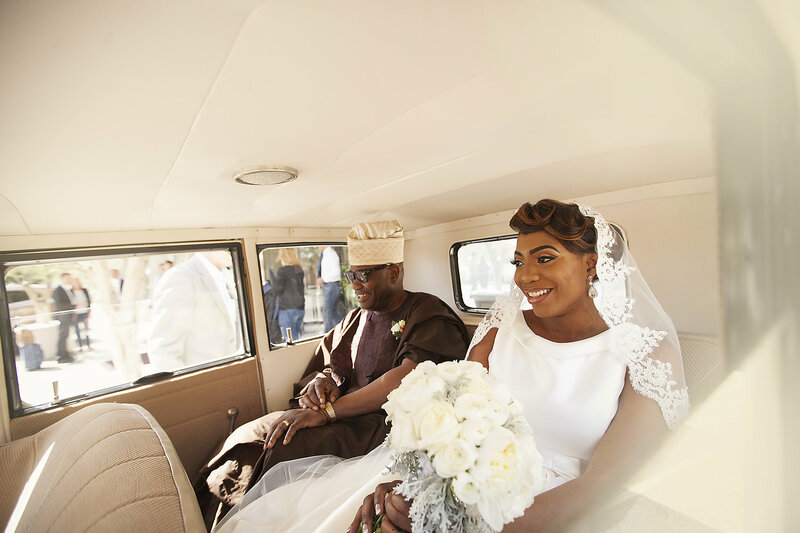 The couple got to the church by two vintage cars in the cream colors, one for the bride and her papa (dressed in traditional Nigerian outfit), one for the groom and his mom. Bridesmaids and groomsmen were taken by two minivans. The ceremony took place in the catholique Greek church. After the moving ceremony, refreshments and Greek finger food were served. Then all the guests were taken to the reception. 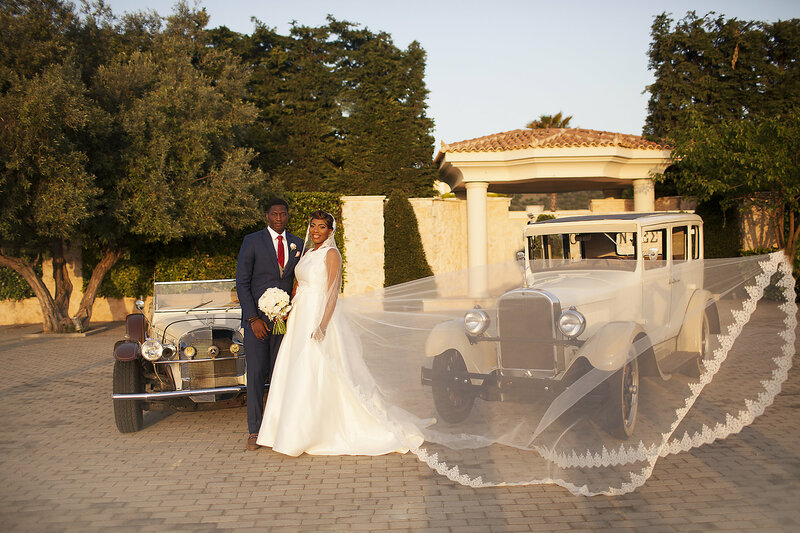 Before the party has begun the couple had a stunning photo session outside the venue with their stylish, vintage cars. 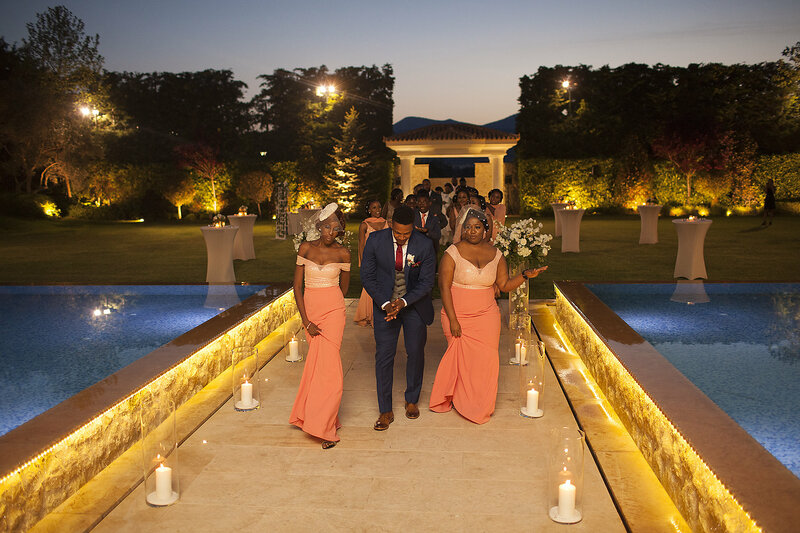 The arrival of the couple to the reception was purely magic and beautiful. It was made in the authentic Nigerian style. 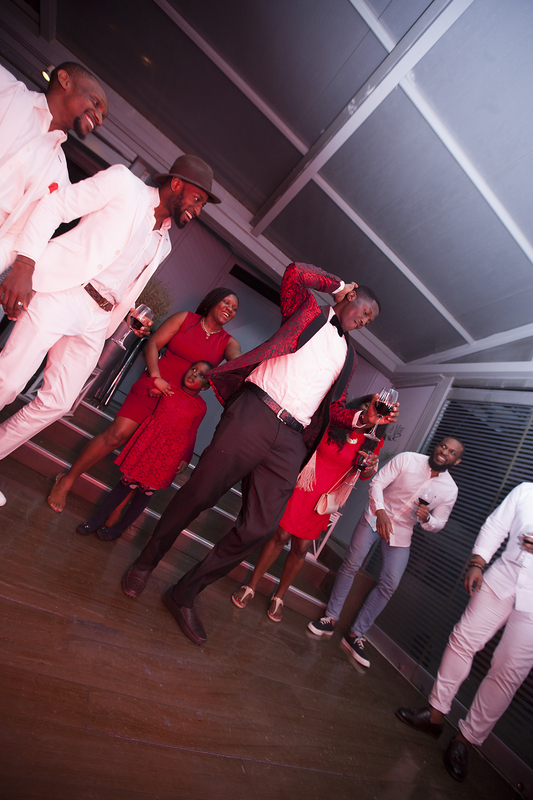 The couple and their maids were dancing while entering the venue led by the master of ceremony dressed in the traditional Nigerian outfit. It was joyful and full of happiness scenery. 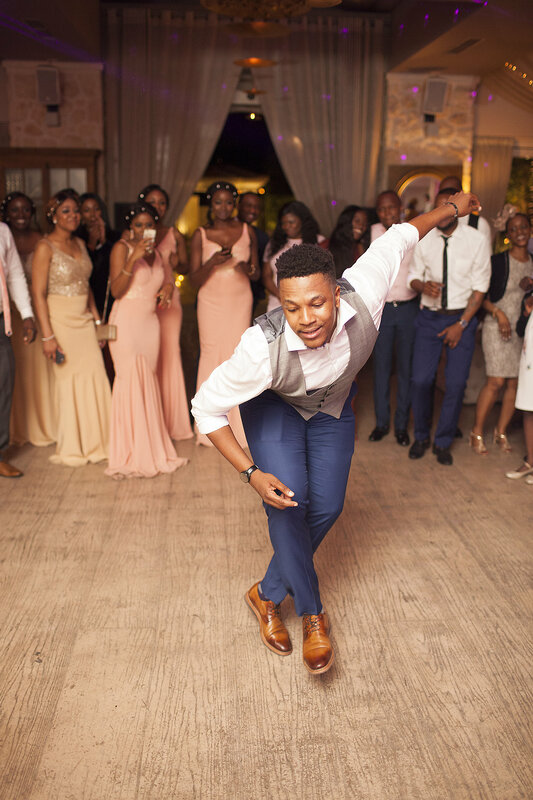 The whole wedding was simply filled with dance and never ending fun. It was also very emotional and moving. The speeches given by friends and family were very touchy, showing love and attachment. Wedding menu was composed of five international meals and buffet. 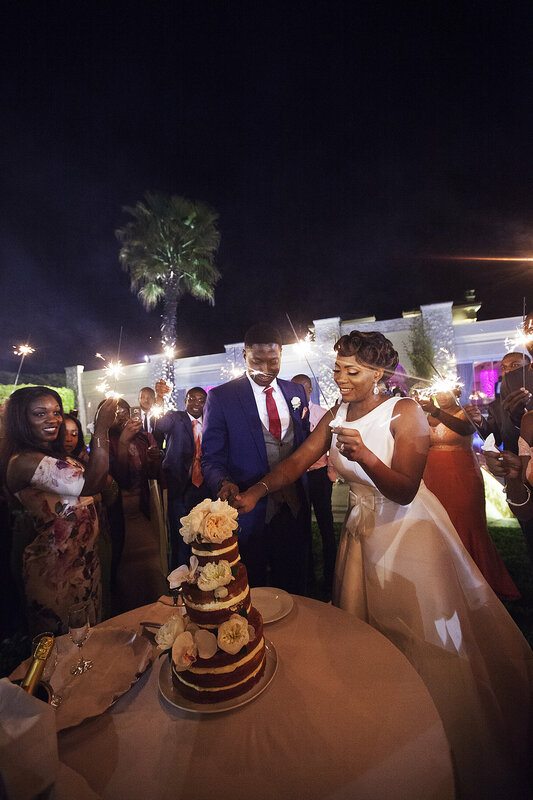 The cake was served in the garden accompanied by lights and sparkles which added a lot of charm and magic to that special night. Venue decorations were chic and elegant. The colors were white and gold with loads of beautiful white flower, candles and mirrors. Loving couple was sitting alone at the long table on the stage like King and his Queen. 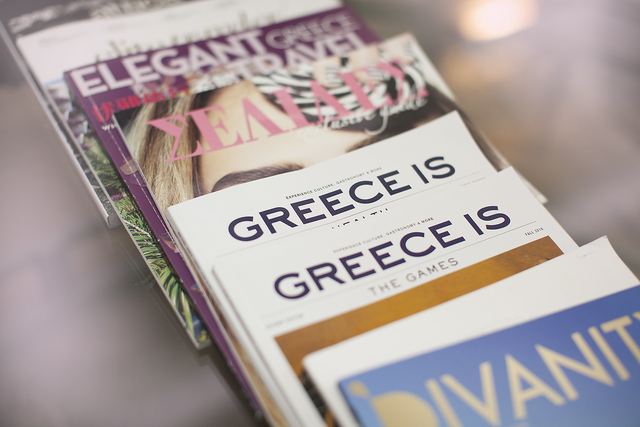 This luxurious destination wedding in Greece was really special. 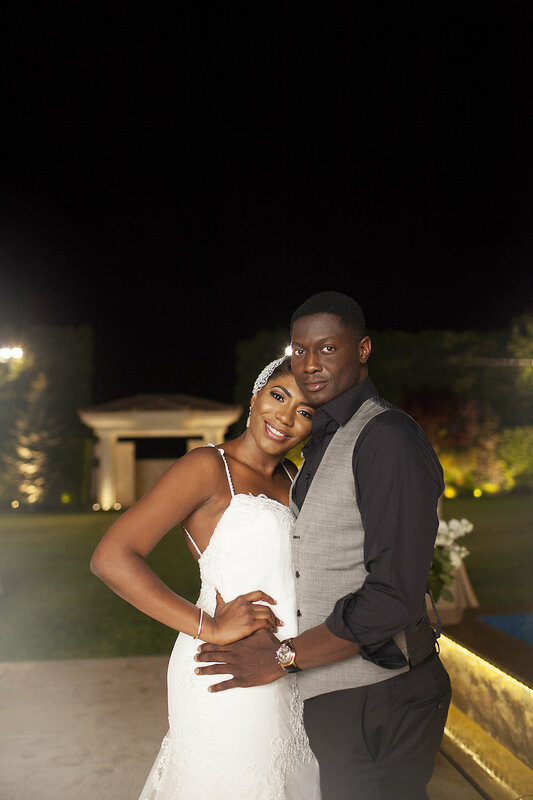 Funmi and Larry got our hearts forever. We will remember for a long, long time how they were dancing, laughing and enjoying this special moment. Simply beautiful.